A heavenly strategy game! Command your angels to expand your territory. Every creature has a soul. And the Evil wanted to get that soul, good thing the Angel came down from the heavens to stop the Evil. 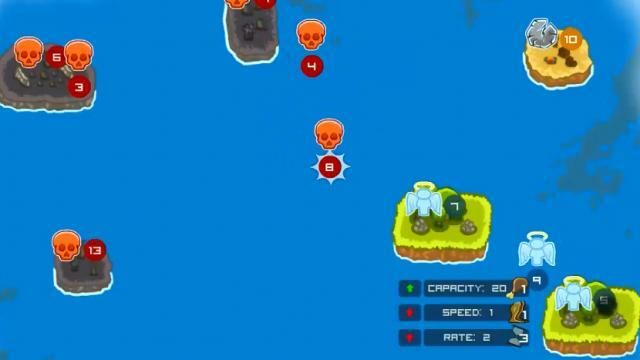 Conquer the island before the Evil gets to it!